PT first with Transfer news, You saw it here first!!!! 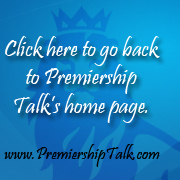 Quickest in the world on Transfer news, Premiership Talk brings you breaking news, remember you saw it here FIRST!!!!!! Re: PT first with Transfer news, You saw it here first!!!! Hahahaha. Phenomenal picture...can't tell it's Photoshopped at all!